Some people are easy to buy for, others are a little more tricky. So this year, we are helping to make your Christmas shopping that little bit easier with our Christmas Gift Guide. It is packed full of gifts for all the family and with something to suit all budgets. Get freedom back with your hair and kids hair as this brush removes brushing drama forever. 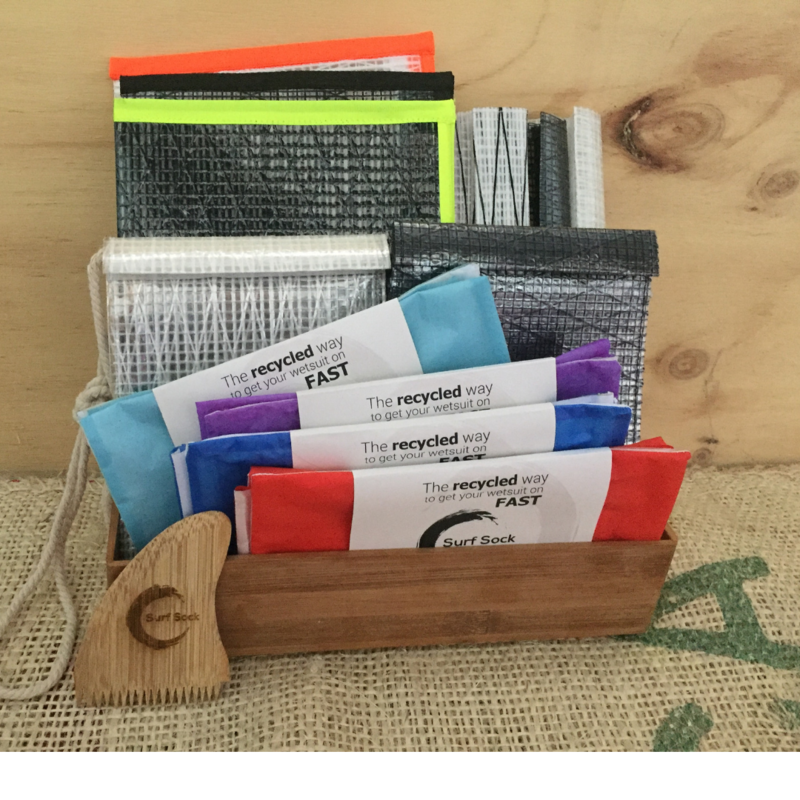 The Original Happy Hair Brush (TM) incorporates a mix of 5 different hairbrushes and comb styles into one. It has a curved, solid (non-flexible) head so that it can deal with the toughest of hair while protecting the most sensitive of heads. This brush actually works – guaranteed! Use it on wet or dry hair, thin hair, thick hair, young hair, old hair, afro, matted, whispy, curly… all hair… it just works!!! Check out the reviews here and on Facebook to see! This is a 100% Australian business based on the North Shore. 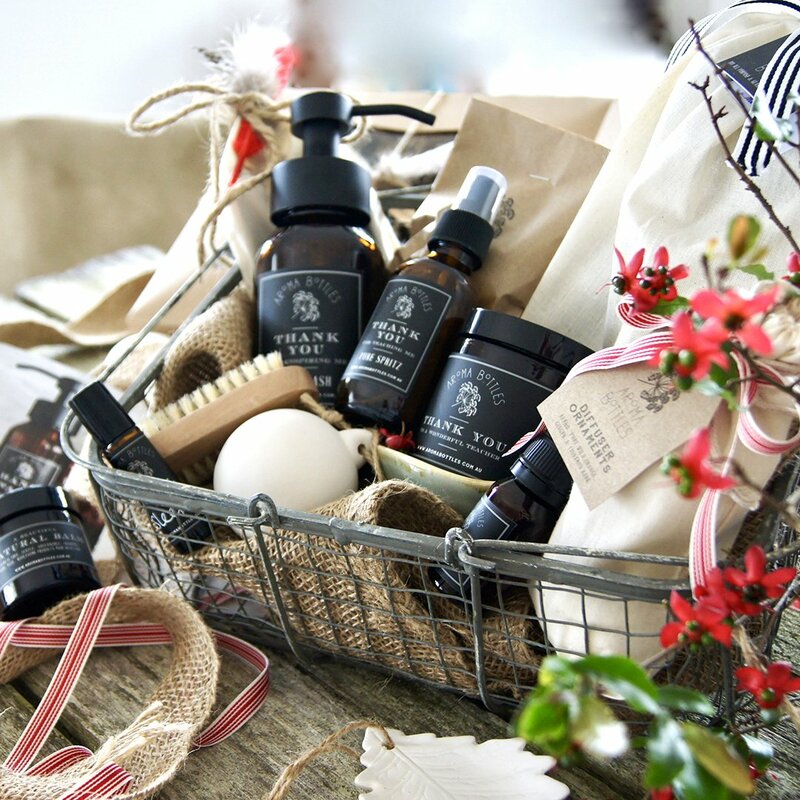 Create beautifully luxurious and bespoke gifts this Christmas with the collection of quality bottles and containers, all adorned with stylish labels ready for you to fill with your favourite homemade essential oil self care or household products. Whether you are new to essential oils or an experienced oiler, there is a range of products, sets, gift bundles and more so that you (and little helpers) can create really lovely natural, sustainable and cost effective gifts. Visit their website to peruse the range, tick some christmas shopping off your list and be inspired to create some simple and unique DIY recipes. Delivery to your door or pickup for free from Collaroy HQ. Splashed! have the perfect solution: suggest a gift voucher for swimming lessons! And it doesn’t just work for Nana and Poppy – it’s the perfect answer for uncles aunties and even godparents too! open 7 days, since 2010! small classes and the perfect environment for swimming success! Gift vouchers available: normally $225 for a 10 week terms of lessons. Mention this ad and receive 10% discount. Splashed! Swim School – teaching kids water safety skills for life! 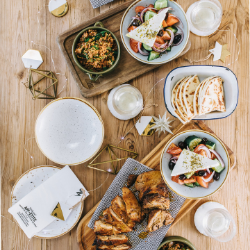 Celebrate the festive season at Zeus Street Greek Balgowlah. They have designed a special set menu which is ideal for large groups. There is also a large range of Vegetarian and Gluten-free options to choose from. Your table will be decorated with festive bon-bons/crackers and to keep the kids entertained there will be plenty of colouring-in and activities! How cute is this drawing by Maya? Beautifully drawn on paper it has been captured perfectly in this unique keyring, the perfect Christmas present for dad, mum, grandpa or grandma this Christmas. 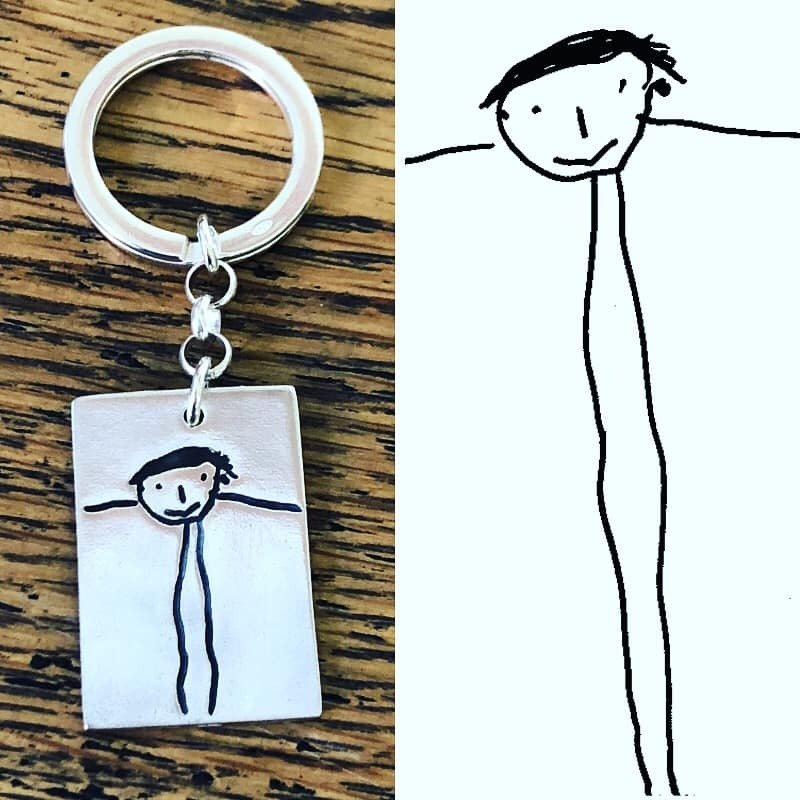 Local mum, Claire handcrafts bespoke silver keepsakes showcasing fingerprints, handprints, footprints, drawings and written names on pendants, charms, cufflinks and keyrings. Home of the original fingerprint keepsake. Capture your loved ones’ fingerprint directly onto your piece of jewellery, so what they touch is what you wear. It doesn’t get more unique nor sentimental than that. Mindfulness colouring with Affirmations for Kids and Adults “book and cards”. Kylie Johnson Art is a beautiful brand for both Kids and Adults to practice having a “Positive Growth Mindset” inspiring confidence, self belief and self worth. 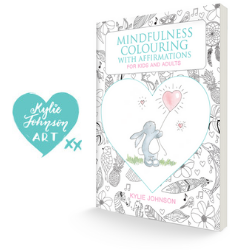 Kylie’s 104 page mindfulness colouring book and matching set of cards have been endorsed by well known mental health practitioners. It is the perfect Christmas gift to ignite Creativity, Mindfulness & Positivity. Kylie’s mission is to encourage parents and children to get creative and practice positive self talk during the holidays. The perfect solution to UNPLUG & RECONNECT via creativity. Available online and check page for local stockists. 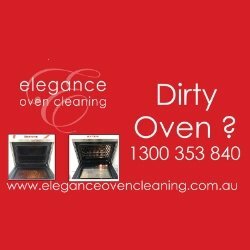 Elegance Oven Cleaning has been servicing mothers all over Sydney, from its beginning on the Northern Beaches in 2005. They use NON TOXIC and NON CAUSTIC cleaning solutions to bring your oven and other cooking applianced back to a sparkling fresh new look in no time at all. Elegance is still family owned and operated and constantly sets the highest standards of service and quality, giving you peace of mind that by booking us, you will receive not only ‘Silver Service’, but have peace of mind that the job has been done thoroughly by trained staff who care about you. Book now to avoid the Christmas rush. Kika Activewear was created by Jenene and Karen, 2 everyday Northern Beaches mums, who were always looking for good quality and affordable activewear for their 6 daughters to run, train, flip and socialise their way through their pre-teen/teenage years. Unfortunately, they struggled to find suitable activewear, and felt that quality was poor, or the expense didn’t match their budget. An idea formed and Kika Activewear was born. This bright, comfortable, funky Activewear has broken rank on the typical children’s apparel and has been created with quality and affordability in mind. Moisture-wicking material that moves with the body seamlessly, won’t restrict or restrain and is so comfortable, it can be worn all day, every day. Kika promotes all forms of physical activity and believe good health leads to a feeling of happiness within girls themselves, which develops a positive sense of self. Order now for the perfect Christmas gift and give your loved one a head start to a healthy lifestyle for the future. Singlets, tights and hats are available at awesome prices. Let them make Christmas easy for you with girls’ sizes 8-16 available. Kika also cater for women’s sizes 8-12 which would fit sizes 14-16 in their range. Having a security system is not just about keeping your possessions safe; it is also about helping you sleep well at night. 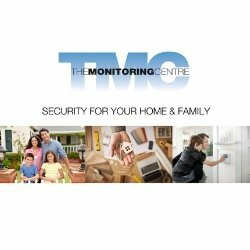 A security system can notify someone if you are in trouble through its panic/duress facility and it can also act as a deterrent for would be intruders. ‘The Crocodile Who Found His Smile’ signed by author. Pre-school and early primary school kids are loving this brilliantly illustrated children’s picture book. Written by local author and Northern Beaches Mum, HancyPancy, it’s an entertaining story about a young croc searching for a friend. Told with catchy rhyme and full of educational information about saltwater crocodiles, it’s a great choice for parents wanting to inspire their children’s early love for literature and art. For a unique Xmas pressie, purchase your copy signed by HancyPancy with a personal message for your child(ren). Illustrated gift cards also available. Celebrate Christmas with Bell Art. 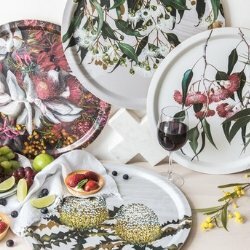 Their beautiful Australian native flora is presented in tasteful, practical and stunning gifts, that everyone will enjoy! These Bell Art trays are hand-made on the beautiful island of Öland by Swedish craftsmen. Thin layers of sustainably forested Birchwood are pressed together with the Bell Art native floral designs before a protective melamine coating is applied. Dishwasher safe and food safe. Choose from a selection of four best-selling designs, all other Bell Art gift lines are 100% made in Australia, please celebrate with us. Christmas is just around the corner, and Collaroy Books is stocked with a wonderful range of books, toys and gifts. And Santa’s mailbox has arrived for letters to be delivered to the North Pole. Santa will answer all letters from his fans on the Northern Beaches. The Bookshop has plenty of Christmas stocking stuffers, books, gifts, toys, puzzles for mum, dad, nan and pop, friends and family. Come and see what they’ve got for you to put under your Christmas tree! 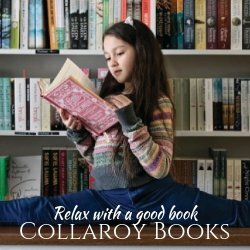 Visit Collaroy Books or you can shop online via their secure website. The “Reverse” Advent Calendar every family wants… and needs… this Christmas! 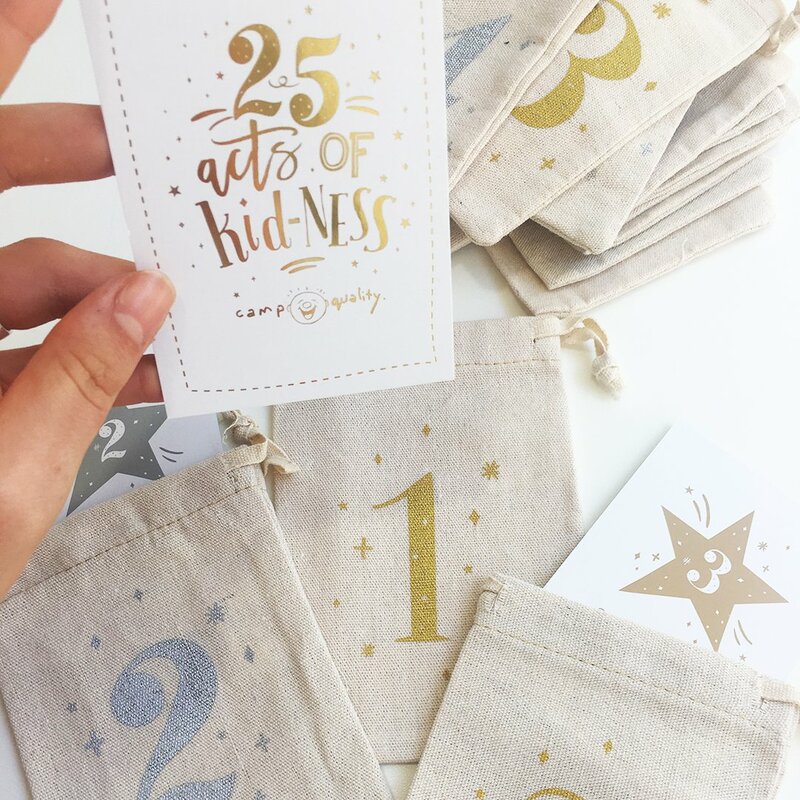 Drawing inspiration from the amazing families who tap into Camp Quality’s unique services and programs, this beautiful calendar reverses the “what’s-in-it-for-me” Advent calendar philosophy, and instead, brings families together through laughter and shared activities. Get yours today by visiting the Camp Quality Shop. Buy them some time off cooking for Christmas with the FoodSt Secret Sampler! FoodSt is a proud Northern Beaches based business. They supply delicious, homemade meals made by local accredited chefs for people who value good food but don’t have the time to cook. 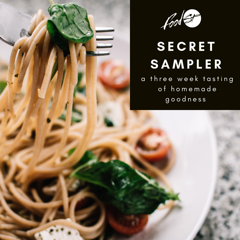 This Christmas they are offering a discount on the Secret Sampler which entitles you or your loved ones to three weeks of meals delivered hot and ready to eat to your door! 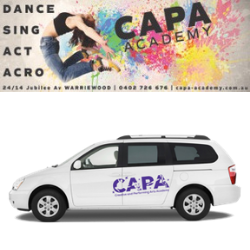 Starting at just $30 per week (ex GST) for 3 weeks, this is the perfect gift idea! Head over to https://www.foodst.com.au/pages/mystery-meals and select your package. Upon payment FoodSt will be in touch to confirm details and preferences. FoodSt will send meals to you or your loved ones based on your preferences. All food is delivered freshly made and ready to eat – there is no heating, cooking or thinking required. There is no better present for the grandparents, aunties and uncles than a canvas or poster created using the finger paintings of YOUR little ones! Book into a jellybeanstreet workshop on the 29th of November or 3rd of December and you can have your gift ready for Xmas! Only 10 seats per workshop!! 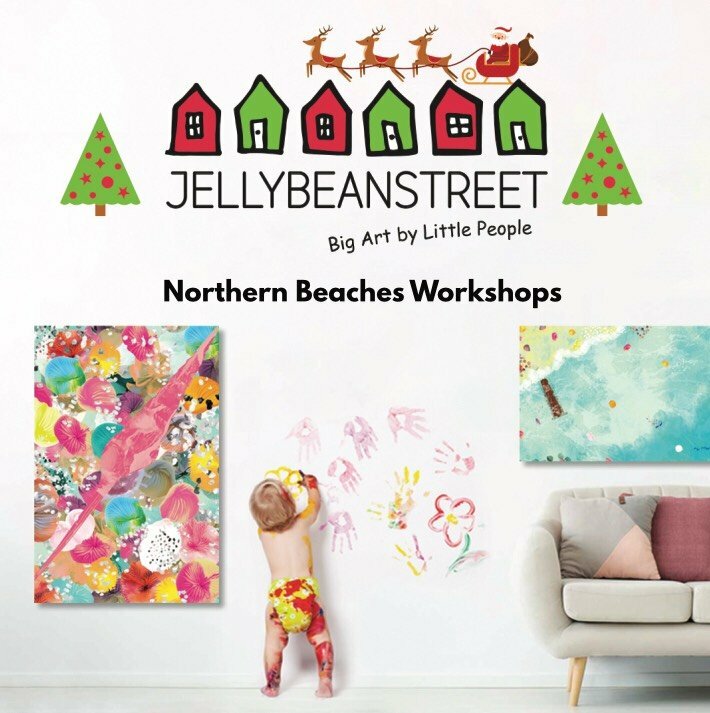 Attend a jellybeanstreet workshop ($30) where your child will spend an hour painting using their hands, balloons, salad spinners, brushes, toy cars and much more. 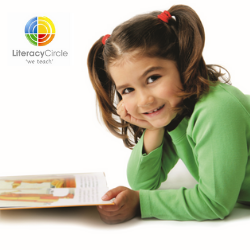 Optional ($39): your child’s creative art pieces will be sent to the amazing graphic designers to work their magic. The graphic designer selects the best parts of your child’s artwork and turns it into stunning pieces of abstract art or you can ask for something more detailed. Then if you like it, you can buy a canvas or poster (https://www.jellybeanstreet.com/canvas-pricing). Once the artwork has been purchased it will be displayed on the online gallery and any sales after this will become a resale. You can either donate 60% of the net profits to your chosen charity or split it with your child and your chosen charity. The big little bear is a boutique but a very busy bear. Working from her toy workshop in the woods. At the workshop the toys are being designed and developed that are inspiring, different, loveable and that win their way into children’s hearts. Check out the selection of toys and click on to your favourite toys to reveal all the features. 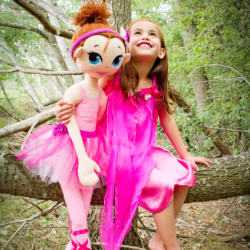 Ballerina & Me® Doll: a cute as a button child life-size dancing companion doll with straps on the hands and feet to attach to your child hands and feet so they can dance and twirl together and watch the magic happen. She’ll pirouette and prance all day long. With music, love and a sprinkle of imagination, she’ll dance her way straight into your heart. 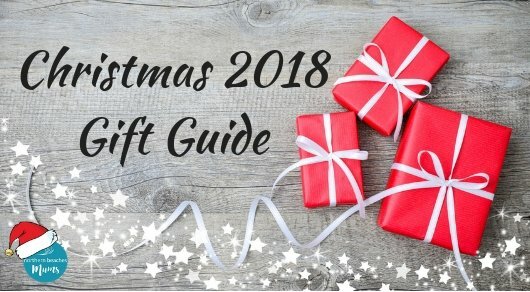 You still have the chance to be a part of the Christmas Gift Guide! The Christmas Gift Guide is the perfect guide to showcase your business to tens of thousands of local Northern Beaches Mums! We are still accepting submissions for the guide at a discounted price (as you have missed the special edition newsletter – this newsletter!) Email info@northernbeachesmums.com.au if you would like to take part.